UltraTech® Multitask - MC500 glove offers you amazing grip and protection in an awesome glove that is easy to wear. This glove features a 10 gauge HPPE/Synthetic shell that has a brushed nylon lining. The black silicone diamond pattern in the palms creates an awesome grip and gives added palm protection. 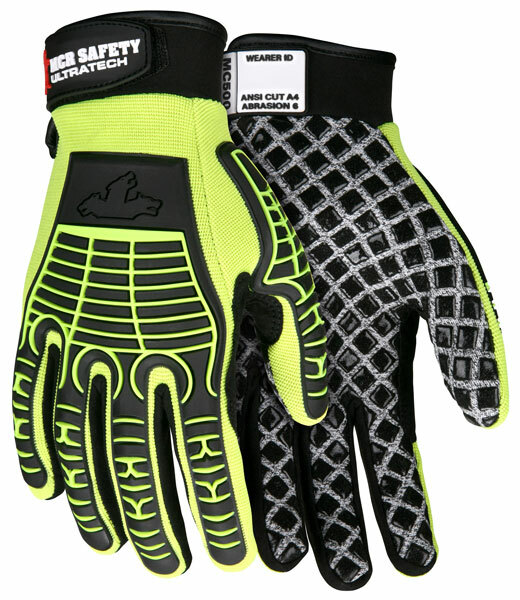 The back of the glove features hi- visibility 2 way spandex lime material that is cool and comfortable and back of hand TPR cage protection. Other features include reinforced thumb crotch and hook & loop wrist closure.